In PHP, insert the same PHP, HTML, or text on multiple pages using include(), include_once(), require() and require_once(). In this article we are going to see real differences between them with an example. When you want to include a file within the current execution by using include function. The code inside the included file will then run when the include function called. Example as follows. The require function exactly the same as the include function. In include(), file that you include is not found than PHP interpreter generated a warning and execution continues without that file. 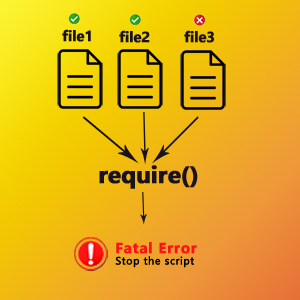 In require(), file that you include is not found than PHP interpreter generated a Fatal Error and execution stops there. The include_once function also just like the include function. 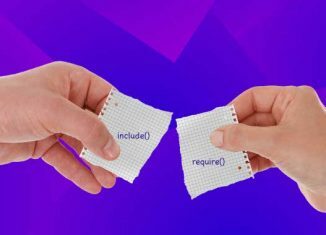 The difference between include() and include_once() are easily perceived by its names. The include() are allow files to insert multiple times in current process. 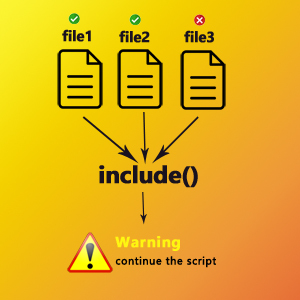 The include_once() are allow files to inserted only once in the current process. If you define any functions in the included file to avoid redefinition of a function you should use include_once. In this I’ve include menu.php at two times. The output displayed only once. The require_once function is combination of the require and include_once function. It will make sure the file exists if not there it will throw a fatal error. Also it will make sure that the file can only be used once on the page. This function is strict out of the above functions. I’ve use this when constructing the page.